When I first started looking at worm farms, I thought they would be really difficult to look after. How wrong I was. 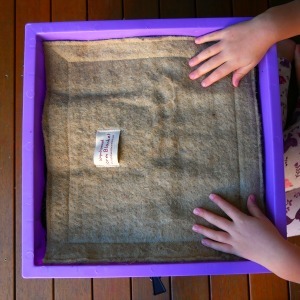 The Vermihut Worm Farm is such a great unit and easy enough for kids to assemble. Worm farms are considered a ‘cool’ system which makes good use of your kitchen waste. A worm farm, like this one, has 3 layers. 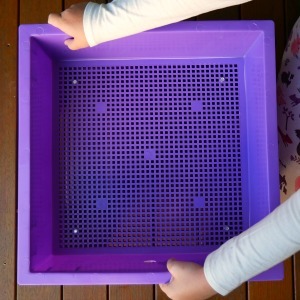 The two top trays are where the worms live and they can move freely between the layers, following the food trail. You don’t add all the trays at once, how it works is one of the trays will fill up with worm castings (worm pooh). When it’s full, you simply remove that layer and you can use the castings directly on your garden by mixing it in with the soil. 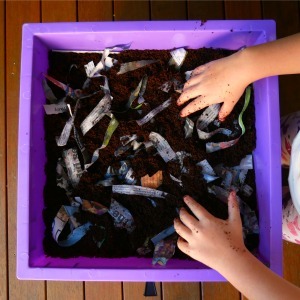 Always wanted a worm farm but didn’t know where to start? Worm castings are rich in nutrients and an awesome source of organic fertiliser for your food garden. The bottom holding tray where the tap is will be where the liquid collects from the worms. 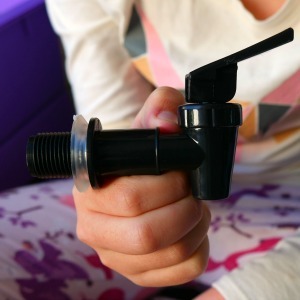 You should dilute this with water and use directly on the plants as a liquid fertiliser. Follow the directions in the kit to soak your coconut fibre. NOTE: It’s not recommended to compost cat and dog waste in a worm farm, because most pets get wormed and this can also kill your compost worms. Also, definitely DO NOT add citrus, especially pineapple, as it can be toxic to worms. Also avoid plant seeds, cooking oil, meat, fish, dairy, or other acidic foods such as onions and tomatoes. Worms slurp their food, they don’t have teeth, therefore, you’ll speed up the composting process if you put in a bit of effort into preparing their meals. Chop the food into small pieces, or wiz them up in a handheld chopper. If you microwave the food it will make it soft and juicy. How often should you feed your worms? Worms take a while to settle into their new home. It could be up to 4 weeks before they start consuming the food. One of the biggest mistakes owners make is that they overfeed the worms. Keep your food to one corner of the working tray so they can freely move around the rest of their home. Only give your worms more food when they consume between 50% and 80% of their food. If you feed your worms too much, it will start to smell and rot because they can’t keep up. This can change the acidic conditions in your worm farm and lower the pH. worms then become inactive and could die. The type of food & size of the food. Worms need a moist environment because they breathe by taking in dissolved oxygen in water through their skin. Your moisture levels need to be between 60% and 80%. You can purchase a moisture meter if needed however if your moisture levels are low use a water spray to add more moisture. In summer when it’s hot, you can also add some ice cubes to the tray which will help lover the temperature. If your farm is to wet, you can take the top off to let some evaporate or add in torn up egg cartons to absorb the moisture. The other issue owners may have with their worm farms is that they get too hot during summer. Worms work best between 15 degrees C and 27 degrees C. When the temperature is outside of this range worm composting will slow down. On days when the temperature reaches higher than 27 degrees C, you need to cool it down one of 2 ways. 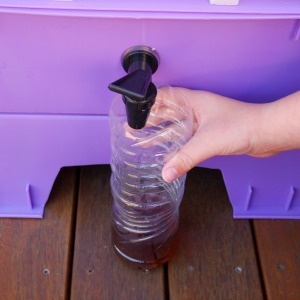 Spray some cool water into your worm bedding and lift the lid. By doing this you’ll carry the heat out by letting the vapour escape. As I mentioned before, add in some ice cubes to the top of your farm in the morning and let it melt down for the worms to get some relief during the day. On days of extreme heat, you will need about 2 trays of ice cubes, and make sure your farm is positioned out of the direct sun. A shady position over summer is a good choice. Check out the full range of worms, worm farms and bokashi kitchen composts at Worm Tech. 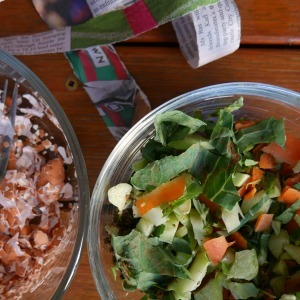 There is never a better time to compost than now. Turn your vegetables and fruit scraps into rich organic soil.